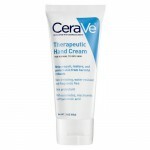 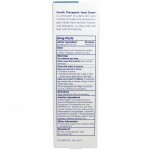 CeraVe therapeutic hand cream 3 oz (85g). CeraVe therapeutic hand cream helps repair, restore and protect rough, dry, irritated hands so that they look and feel soft and healthy again. 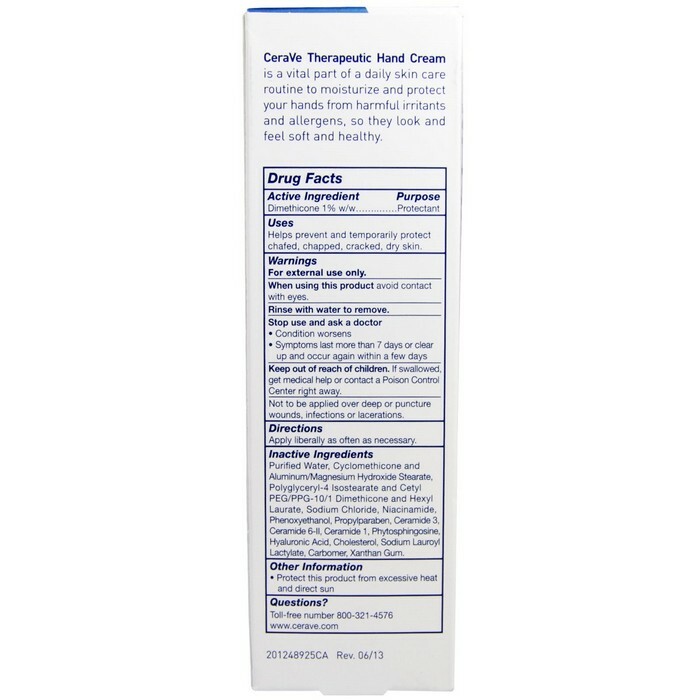 Formulated with essential ceramides, niacinamide and hyaluronic acid, the non-greasy cream helps repair your skin's natural skin barrier while protecting it from the harmful irritants and allergens that your hands encounter every day. 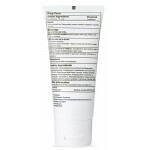 Protects skin from harmful irritants, helps restore and repair skin barrier. 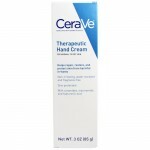 Contains three essential ceramides (1, 3, 6-II) that help restore and maintain the skin’s natural protective barrier. Non-irritating, water resistant and fragrance free. 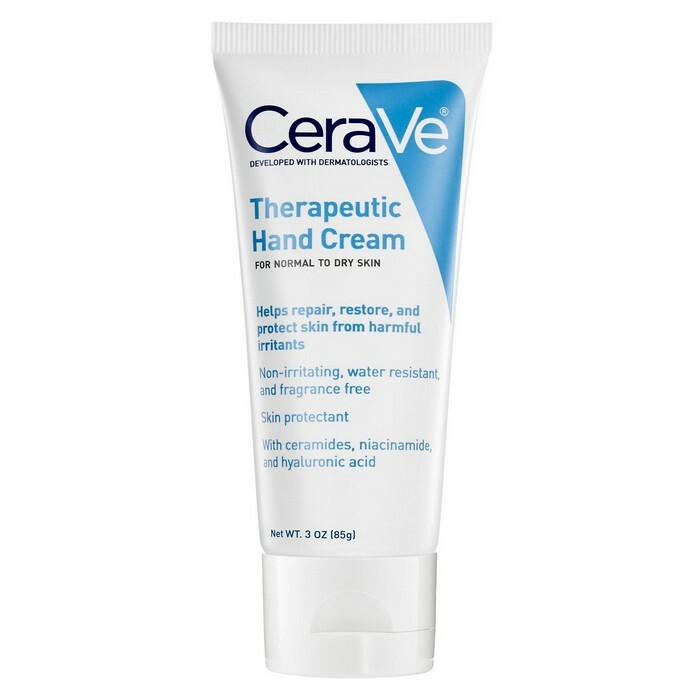 Helpful for dry skin & itchy skin. 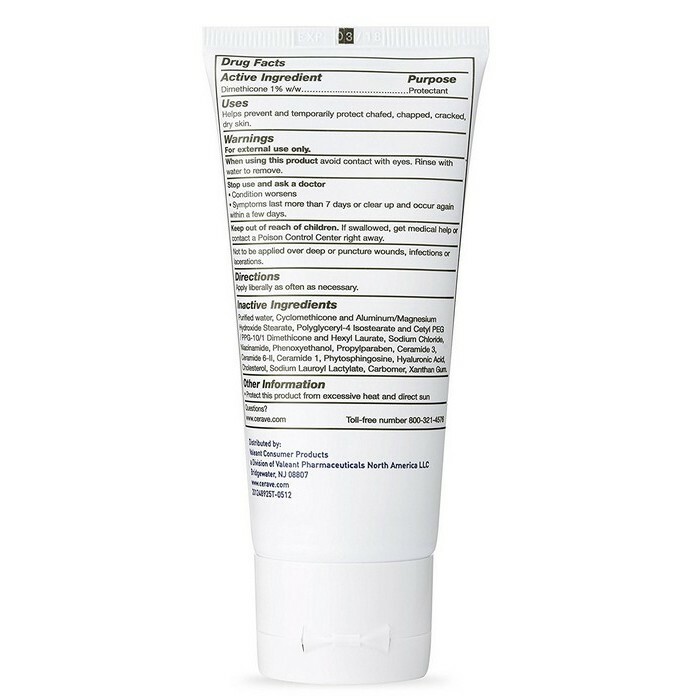 Purified Water, Cyclomethicone and Aluminum/Magnesium Hydroxide Stearate, Polyglyceryl-4 Isostearate and Cetyl PEG/PPG-10/1 Dimethicone and Hexyl Laurate, Sodium Chloride, Niacinamide, Phenoxyethanol, Propylparaben, Ceramide 3, Ceramide 6-II, Ceramide 1, Phytosphingosine, Hyaluronic Acid, Cholesterol, Sodium Lauroyl Lactylate, Carbomer, Xanthan Gum.